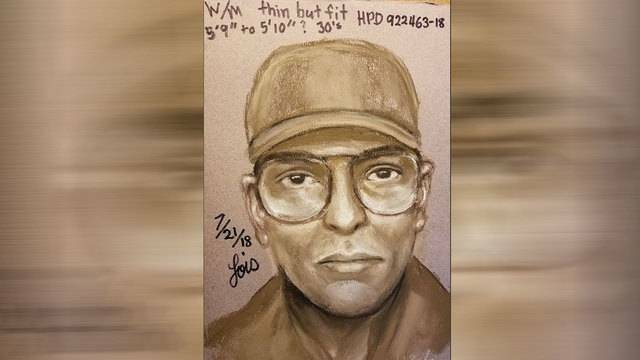 HOUSTON - New surveillance video and pictures were released Monday of a man who officials say fatally shot a doctor on a bicycle Friday near the Texas Medical Center and then fled. Key part of the article is the video and the photos. Seems a lot like a HIT. Backpack looks military. Hit man may be wearing gloves. I doubt a ‘hit-man’ would do this in broad daylight. I’d guess it’s someone with a grudge. Money involved, botched medical treatment, drugs...a po’d husband or boyfriend, payback of some kind. It’s probably be a safe bet it wasn’t random. Television Networks werent even able to discuss Seth Richs murder. I dont understand why this is allowed on TV. To respect the deceased and his family, this should not be discussed. We will be told when all the facts are in and convictions are made, or not. The perp has a very large back pack, unusual for a cyclist. Perhaps containing a quich change of clothes? That pack is big enough for a second set of clothes, shoes, hat, and a secondary backpack to change appearance in every way. >>He is described as white or Hispanic, around 30 years old and about 5 feet 10 inches tall with a slender build. The doctor was on a bicycle, too? For this to be a hit somebody would have needed to follow the doctor for days or weeks to establish his schedule. Also, why not hit him at a more private place, like his home or during an after dark outing for dinner or to a shopping center? Perhaps the doctor had a home with security cameras and there are too many cameras at shopping centers and work parking lots. That backpack and the clothes were probably dumped within blocks of the killing. Or, there was a car or, more likely, a van parked somewhere nearby. This is very odd. It’s hard to believe a prominent surgeon was involved in something that would precipitate a hit this expensive and time consuming to set up.